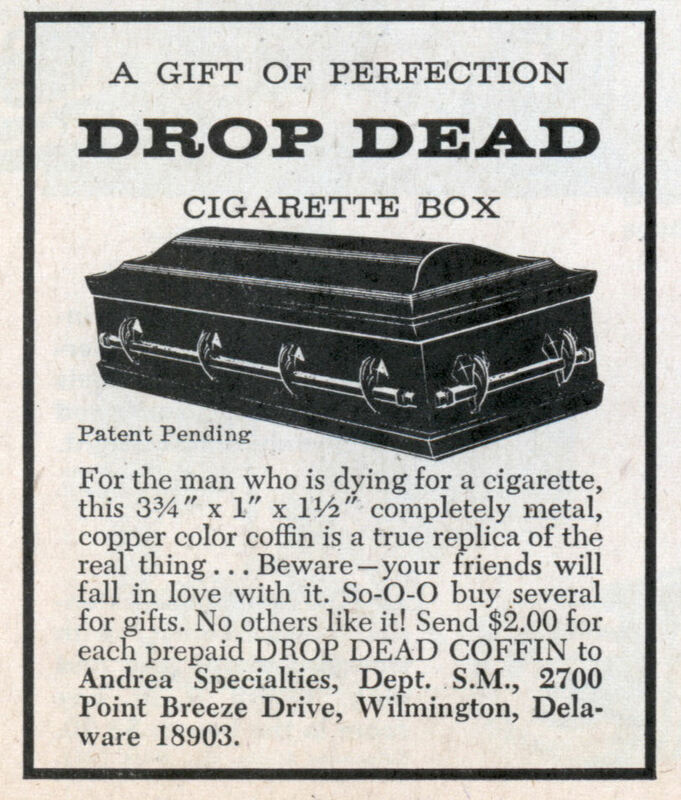 For the man who is dying for a cigarette, this 3-3/4″ x 1″ x 1-1/2″ completely metal, copper color coffin is a true replica of the real thing… Bewareâ€”your friends will fall in love with it. 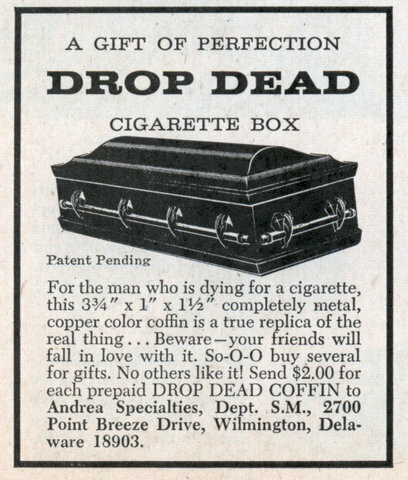 So-O-O buy several for gifts. Andrea Specialties, Dept. S.M., 2700 Point Breeze Drive, Wilmington, Delaware 18903.